Oh boy! The color is perfection. Yeaaah, it seems like pink dragon fruit is one of my favorite fruits. It's pink! I love pink. Nothing else to say. Dragon fruit, pitaya, pitahaya...how do you call this wonderful fruit? It's full of Vitamin C, antioxidants and fiber. I topped it with my fresh baked holiday granola (recipe will be online this weekend!). This tasted like a dessert! It was a meal and drink in one. Amaaaazing for birdies like me, and for those who can't decide if they want a fruity granola bowl or a smoothie for breakfast. 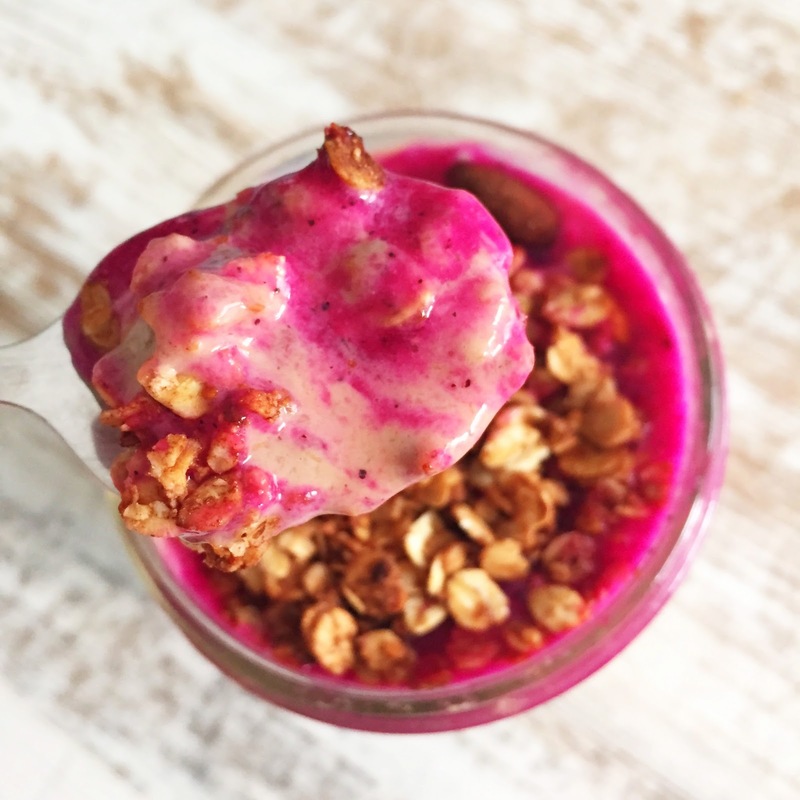 The color is just so pretty - I think this smoothie would be amazing if you're making breakfast for your friends or as a dessert if you're throwing a dinner party. Your friends will die! 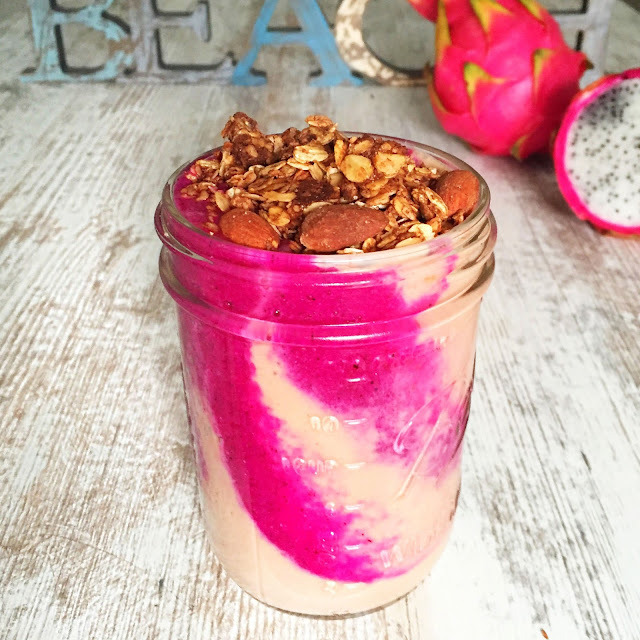 Blend dragon fruit & pear. Then blend soy lime yogurt with kaki and cocoa powder..and chocolate if you like. 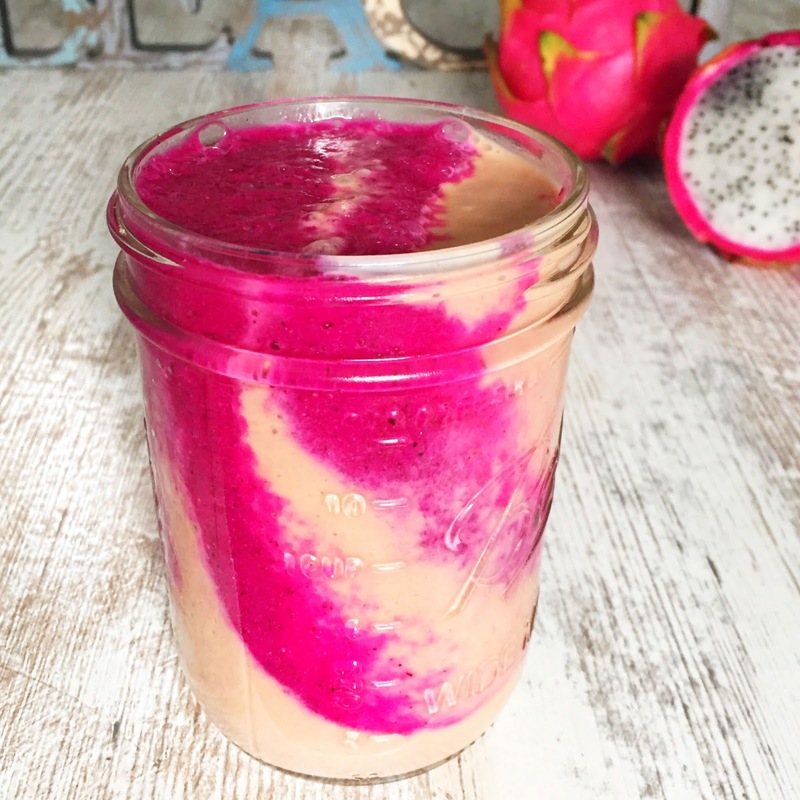 Now pour 1/3 of the light smoothie in a jar, then 1/2 of the pink smoothie (slowly! ), light one, pink one, light one. Easy, right? And now look at the swirl you just made! And now: toppings! Granola, goji berries, coconut flakes, basil seeds.